They feel like refugees, although they live in one of the world’s richest and most peaceful nations. Five years ago, these people fled their homes, grabbing what they could, as a nearby nuclear plant melted down after being hit by tsunami, spewing radiation. All told, the disaster in Fukushima displaced 150,000 by the government’s count. About 100,000 are still scattered around the nation, some in barrack-like temporary housing units and others in government-allocated apartment buildings hundreds of kilometers away. Although authorities have started to open up areas near the damaged reactors that were previously off limits, only a fraction of residents have returned. For example, in the town of Naraha, where evacuation orders were lifted in September, 459 people, or 6 percent of the pre-disaster population, have gone back. Most say they don’t want to return for fear of lingering radiation. Some don’t want the upheaval of moving again after trying to start their lives over elsewhere. With government housing aid set to end next year, many feel pressured to move back. 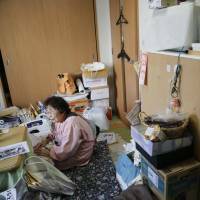 Tokiko Onoda, 80, lives with her husband in a cramped, cluttered apartment on the 21st floor of a high-rise in the edge of Tokyo where about 1,000 people displaced by the disaster live in rent-free housing. Several Fukushima towns that were deserted are now urging residents to return, saying it is safe to live in certain areas. An ambitious effort to decontaminate vast swaths of land by removing topsoil and razing shrubbery has turned farmland and coastlines into stretches of dirt with rows upon rows of black garbage bags filled with grass, soil and debris. When housing aid ends in April 2017, people in apartments under the government program will have to start paying rent or move out. Those whose homes in Fukushima that are in areas still off-limits for living will continue to receive the aid. Onoda fears hers will be cut off because her home is in Namie, where evacuation orders are gradually being lifted in parts of the town. She doesn’t believe it’s safe to go back. She feels duped because she had believed that nuclear power was safe. Onoda angrily talks about how authorities are treating people like her. Why didn’t the government give her land elsewhere to build a new home? When she lived in Fukushima, she had a big house with a garden where she grew vegetables and peonies. She picked mushrooms and ferns in the hills. That home is now in shambles. Although it survived the magnitude-9.0 quake on March 11, 2011, burglars have ransacked it and rats have chewed the walls. The last time she visited, the dosimeter ticked at 4 microsieverts an hour, more than 100 times the average monitored in-air radiation in Tokyo. That’s not immediately life-threatening but it makes Onoda feel uncomfortable because of worries that cancer or other sicknesses may surface years later. Before the disaster, the government had set the safe annual radiation dosage level at 1 millisievert. Afterward, it has adopted the 20 millisievert recommendation of the International Commission on Radiation Protection set for emergencies, and 1 millisievert became a long-term goal. Onoda says she has done her best to cope. She has made friends. She keeps busy with tea parties, art classes and a sewing circle. And now they want her to go back, after all she has gone through? “Only someone who has gone through this evacuation can understand,” she said. 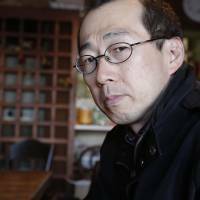 Ryuichi Kino, a journalist who wrote, edited and compiled the 2015 book, “The White Paper on Nuclear Evacuees,” believes people like Onoda have been treated like kimin, which means “people who have been discarded” because they have been forgotten or abandoned by society. “We don’t even know their real numbers,” he said, noting the government lacks a clear definition for “evacuees,” and bases its figures on tallies of those receiving aid. A recent count in Fukushima and a neighboring prefecture found the total number may be as high as 200,000, Kino said. “Evacuation is a term that assumes the situation is temporary, and there is a place to go back,” said Kino. The government is spending about ¥40 billion ($400 million) a year on housing aid for those displaced by the disaster. It’s also financially backing Tokyo Electric Power Co., operator of the damaged Fukushima No. 1 nuclear plant, to make monthly compensation payments, now at a cumulative ¥5.9 trillion ($59 billion) and rising. Tests with volunteers who wore dosimeters for two weeks in the town of Naraha found average radiation exposure to be at a rate of 1.12 millsieverts a year. Government official Yuji Ishizaki, who is overseeing the lifting of evacuation orders, says he is merely following policy. The more than 100 cases of thyroid cancer found among the 370,000 people 18 years old and younger at the time of the disaster the university calls “a screening effect,” or a result of more rigorous testing. Some scientists say that is unusually high, given that thyroid cancer among children is rare at 2 or 3 in 1 million. Thyroid cancers among the young surged in the Ukraine and Belarus after the 1986 Chernobyl catastrophe. Seiichi Nakate is relatively content in his new life with his wife and two children, 13 and 11, in Sapporo, 600 km from Fukushima. There, some 1,500 people from Fukushima have formed a support network, often getting together for drinks and helping each other find jobs. Nakate recently bought a house and started a company that refers professional helpers to disabled people, and has hired former Fukushima residents. 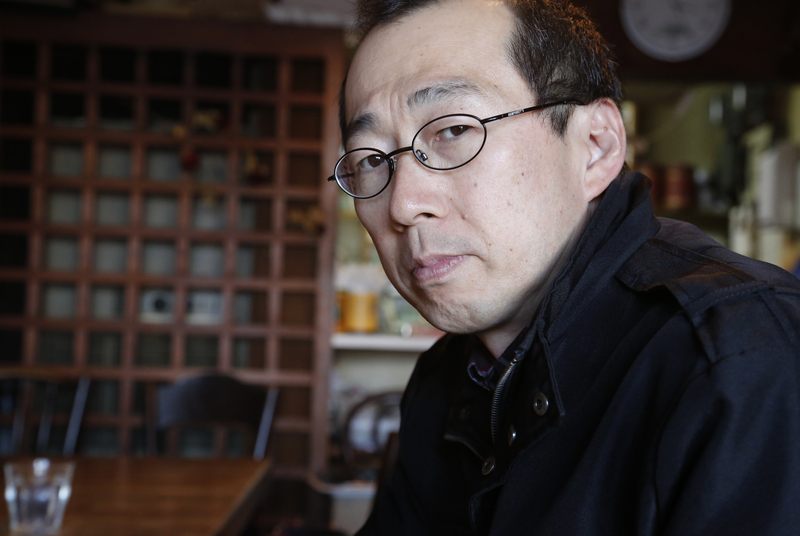 He vows to never return to Fukushima because of the radiation danger. He believes that from the beginning, authorities underplayed those risks. He doesn’t trust them. 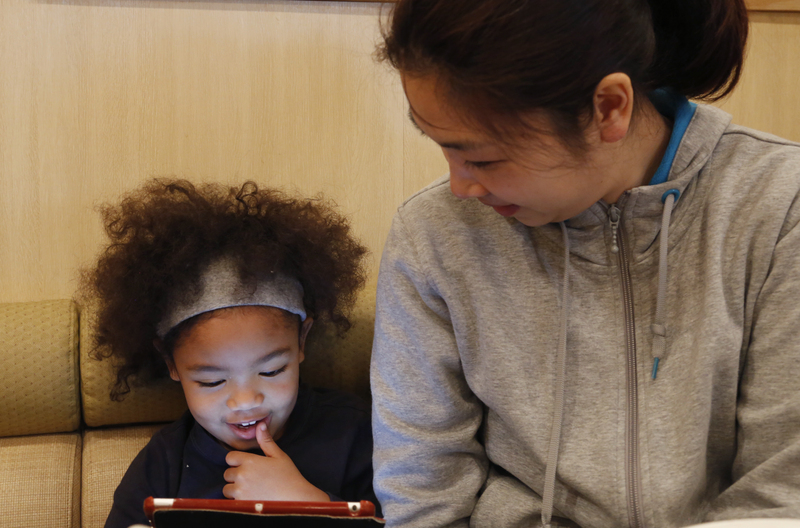 After the disaster, he immediately sent his wife and children to a relatives’ home in southern Japan. The family started living together in Sapporo a year later. The end of government housing support makes people feel pressure to return, he says. 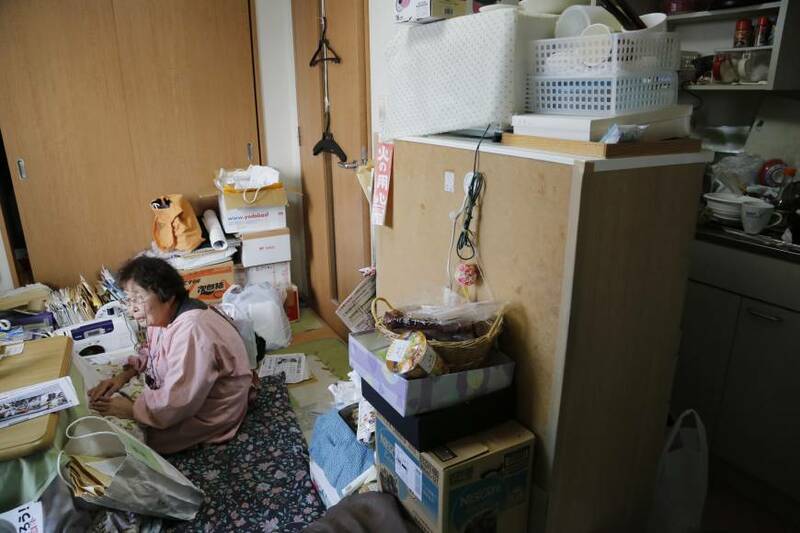 Megumi Okada, a mother of four, is fighting hard to keep her housing aid in Tokyo, getting people to sign petitions and meeting with government officials. She scoffs at how officials keep saying that people are living “as normal” in much of Fukushima. She doesn’t want her children eating the food or breathing the air. They get periodic blood tests to make sure they are healthy. Her husband has found a job as a construction worker in Tokyo. Their apartment is just two rooms and a kitchen, but the rent is covered. 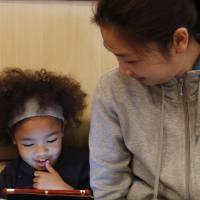 Okada wants to work, but publicly funded child care is scarce in Japan, and private ones are costly. Okada says she wants to apply for U.N. refugee status and move to Europe with her family, if she could.